I’ve started painting my own cards. This will come in handy around birthdays and Christmas. I’m also going to try selling them, very soon. I’ll keep you posted on that. 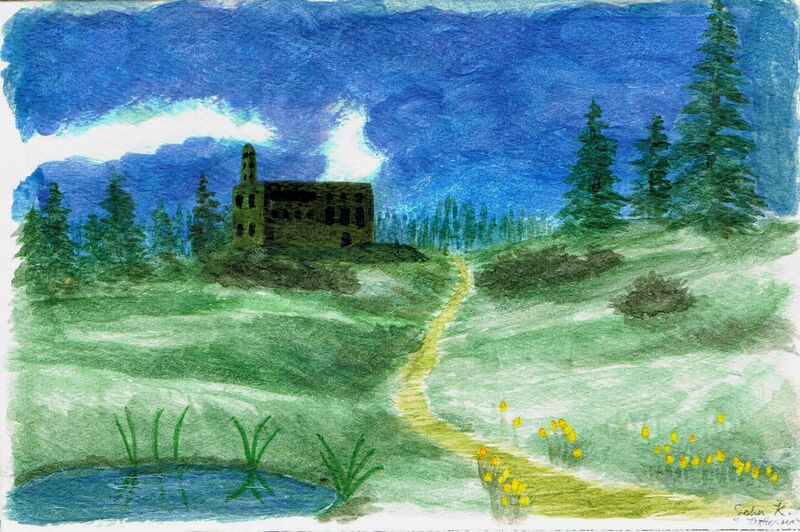 “Moss-Covered Mansion” is a Mother’s Day card I did for my grandmother. (My mom will get one too, of course!) 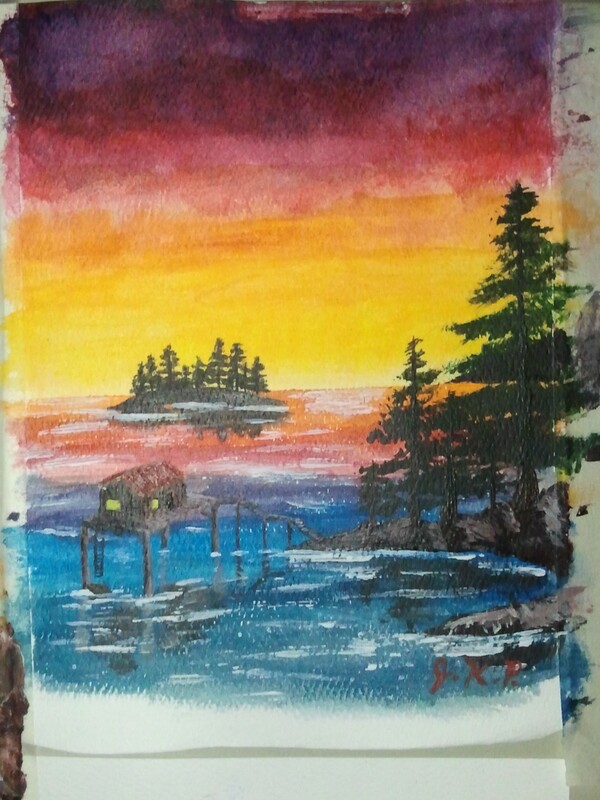 Painted in acrylics, which were diluted to look like watercolors. 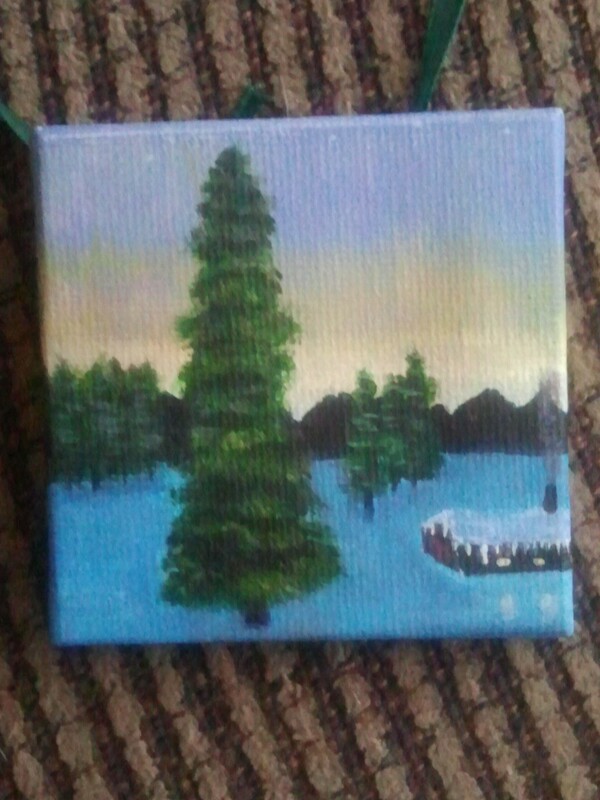 It’s about 4 x 6 inches. Thanks for looking! Greetings, everyone. 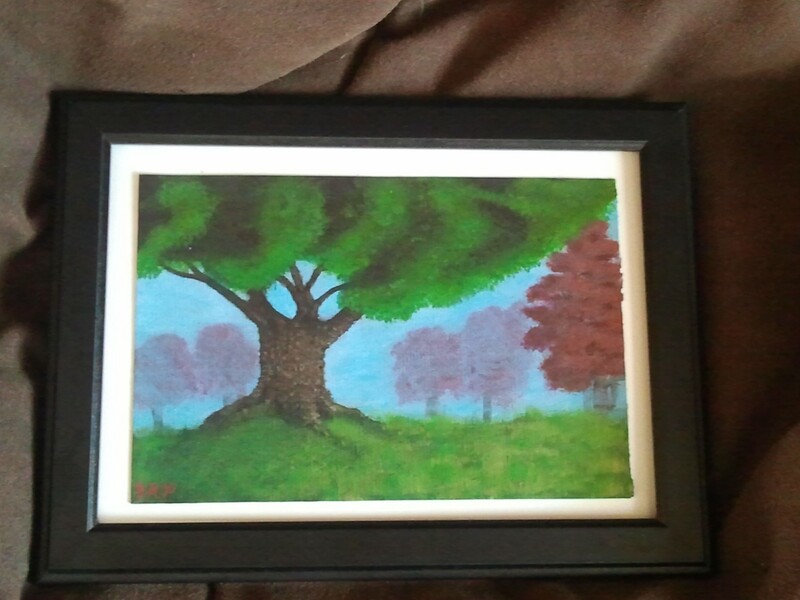 I haven’t been doing as much writing as I’d like, but there are more paintings I have done. People have even started giving me paid commissions. Commissions! Six months ago, if you told me I’d be getting commissions for paintings, I wouldn’t have found it the least bit believable. Life seems rather full of surprises like that. By the way, if you’d like to commission a painting, my email address is to the right. Here are some of the landscape paintings I’ve done these past few months. All of my paintings so far have been done with acrylics. “Fourteeners.” 8 x 10 inches. “Sturdy.” 4 x 6 inches. 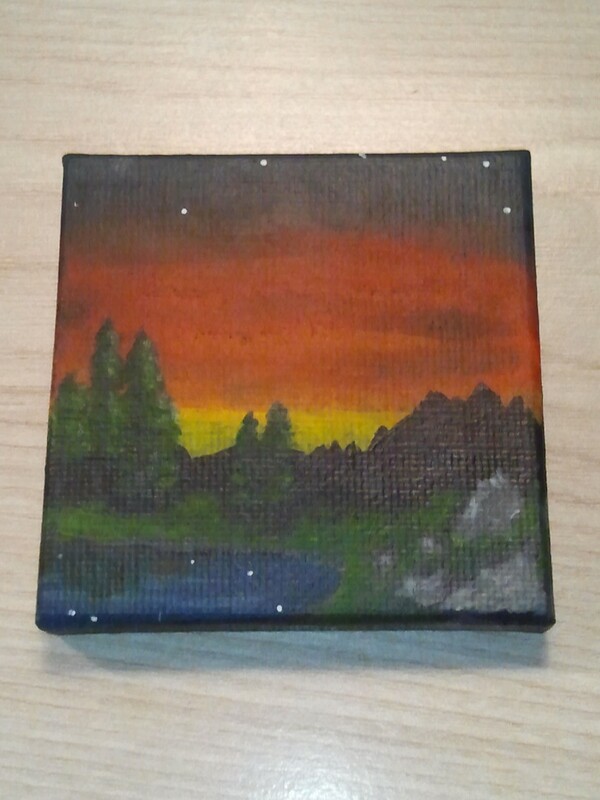 “Colorado Dawn.” 2.75 inches square. 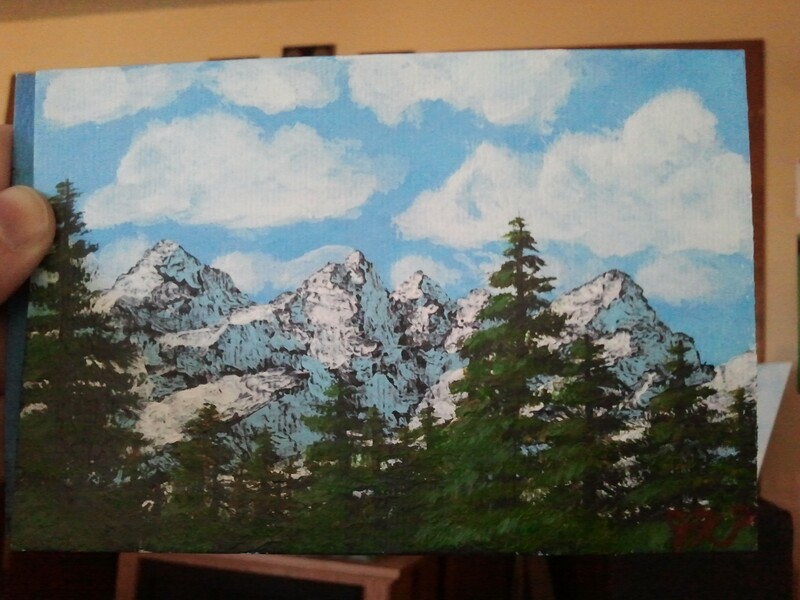 A miniature version of “Fourteeners.” 4 x 6 inches. 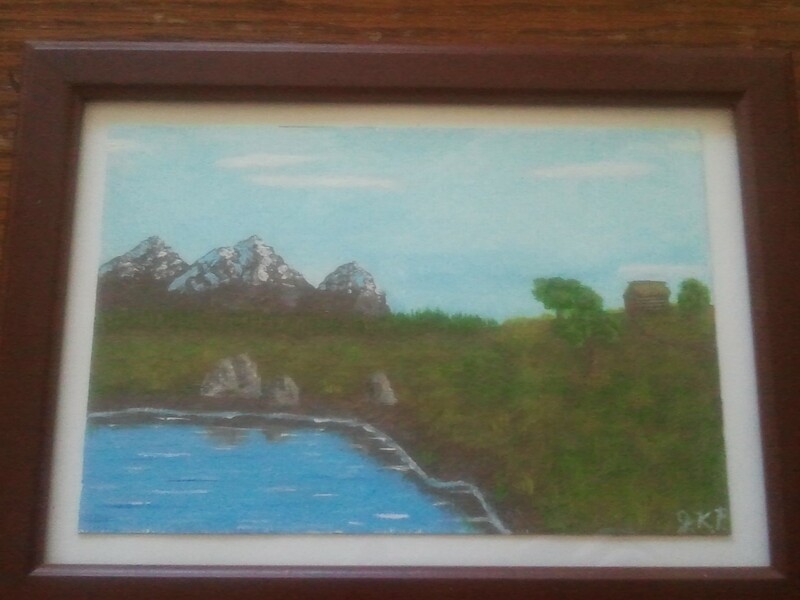 “Lakeside.” 4 x 5 inches. 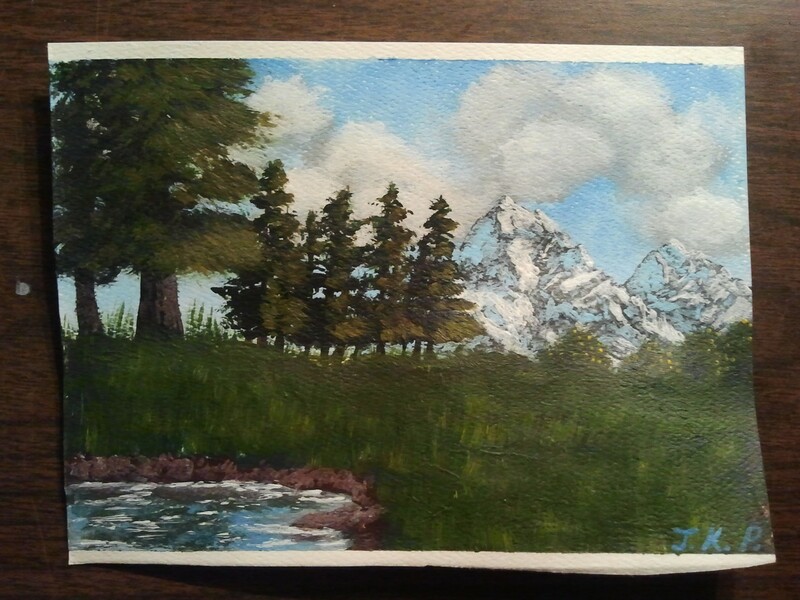 “Rocky Mountain Retreat.” 4 x 6 inches. This last one, “Wild Colorado,” is being auctioned off for Crosses for Losses. They are an organization that’s doing incredible work to support Black Forest, Colorado after the fires last June. 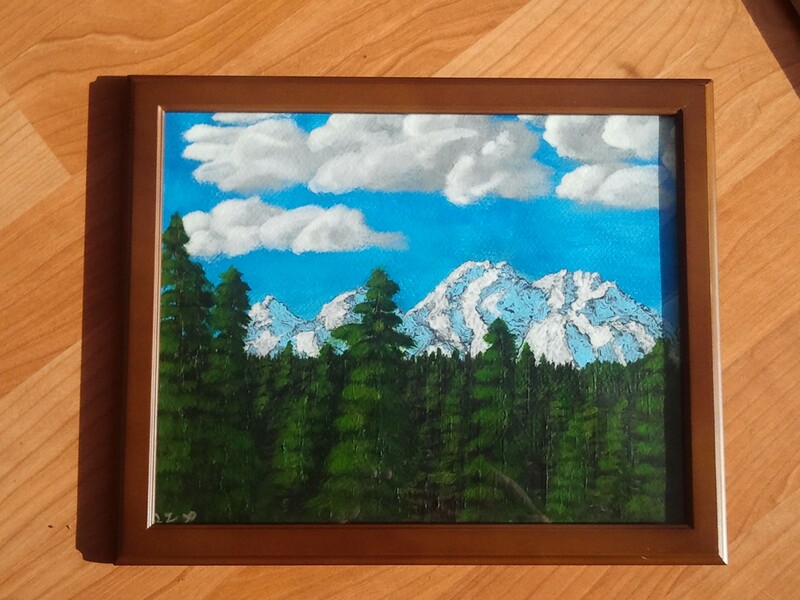 “Wild Colorado.” 4 x 6 inches. Thank you very much for your time, everyone. The writing is getting back on track, slowly but surely. Take care!